Villa la Goletta surrounded by olive and orange trees. 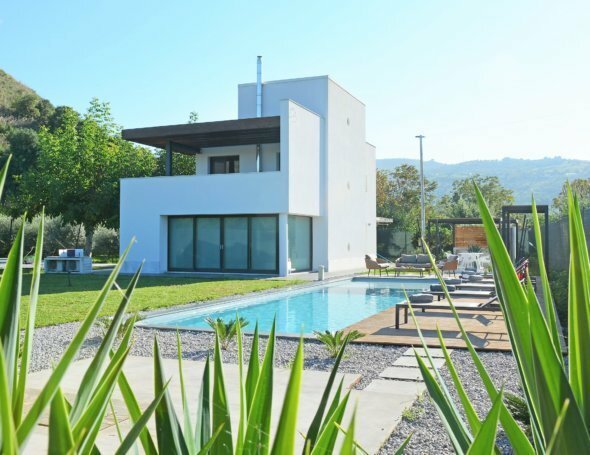 Beautiful Villa, single storey, stone villa with lush gardens and a pool. Situated in a glorious, rural location by Castelvetrano, the villa is surrounded by 20 hectares of olive groves and orange trees. Well furnished and styled for comfort, the villa boasts colourful walls, beamed ceilings and elegant wooden doors. A built-in barbecue and outside dining area set the scene for summer meals. A gazebo with day bed and poolside sun loungers are set up for relaxing in style. 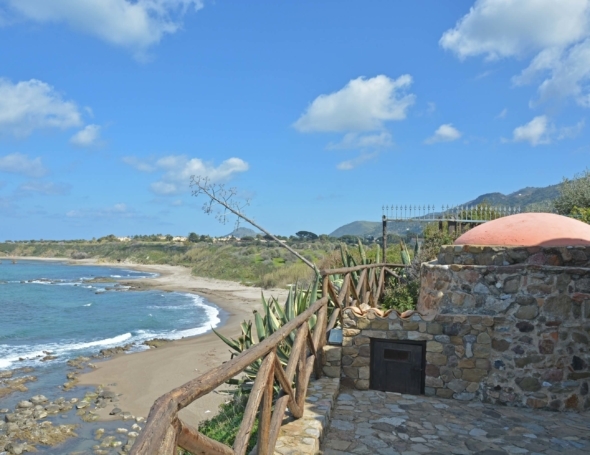 Just a short drive from the temples of Selinunte and the white beaches of the Belice nature reserve, Villa La Goletta is an ideal base for exploring the best of Sicily. Suitable for couples or a family group, there are two double bedrooms and one twin, each with an en-suite bathroom. The spacious living room has french windows opening to a pretty garden with lawns, palms and a pool. As Villa Goletta is newly available for rental, there are no guest comments to date. Massimo Villas team member, (Angelo), has visited the property and is happy to answer any queries.